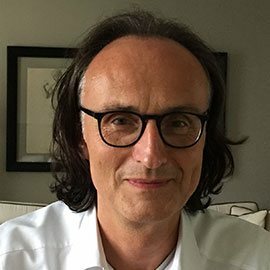 Frank Leymann is a full professor of computer science and director of the Institute of Architecture of Application Systems at the University of Stuttgart, Germany. His research interests include service oriented computing and middleware, workflow- and business process management, pattern languages, cloud computing, transaction processing, and integration technology. Before accepting his professor position he worked for two decades for IBM Software Group building database and middleware products: He built tools supporting conceptual and physical database design for DB2; built performance prediction and monitoring tools for an object database system; was co-architect of a repository system; built both, a universal relation system as well as a complex object database system on top of DB2; and was co-architect of the MQSeries family. In parallel to that, Frank worked continuously since the late eighties on workflow technology and became the father of IBM’s workflow product set. As an IBM Distinguished Engineer and elected member of the IBM Academy of Technology he contributed to the architecture and strategy of IBM’s entire middleware stack as well as IBM’s On Demand Computing (a.k.a. Cloud Computing today) strategy. From 2000 on, Frank worked as co-architect of the Web Service stack. He is co-author of numerous Web Service specifications and standards from the BPM- and cloud-domain. Frank is member of the Academy of Europe (Academia Europaea). He published many papers in journals and proceedings, co-authored four text books, and holds close to 60 patents especially in the area of workflow management and transaction processing. He served on program committees and organization committees of many international conferences, and he is (associated) editor of a couple of journals. From 2006 to 2011 he was member of the scientific directorate of Schloss Dagstuhl (Leibniz Center of Computer Science).